When you’re suffering from hair loss, no matter the cause, it’s important to take a multi-pronged approach to tackling the problem. And while there’s never one answer for all types of hair loss, there is one factor that you have the power to change: your diet. The foods you eat have a direct impact on your body’s health and, as a result, the health of your scalp and hair. This is why you may want to consider making some immediate changes to your current diet in favor of one that has more proven health benefits. In this post, I’ll introduce the various food ‘groups’ that have some scientific basis in promoting a healthy scalp and hair. I’ll then share with you a list of foods you may want to consider adding to your diet, as well as a few supplements. The body, similar to many other complex systems that exist in the universe, requires a certain set of conditions to function optimally. One such condition is pH balance. 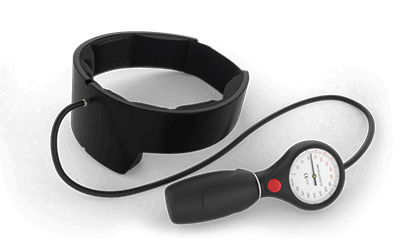 The body requires a specific pH range – between 7.35 to 7.45 – to survive (1). And while the body does its best to naturally maintain this, there are certain factors – such as environment, lifestyle, and diet – that may disrupt the levels one way or the other. This is where alkaline foods come in. The foods we eat have a net pH balance, and while the link between diet and serum pH hasn’t been definitively proven there are studies that show an alkaline diet can have many benefits (2). But what does alkalinity have to do with hair growth? 5-alpha-reductase, the enzyme that plays a part in the conversion of testosterone to DHT, operates best at a pH of 5.5 (3). This means it thrives in a more acidic environment. 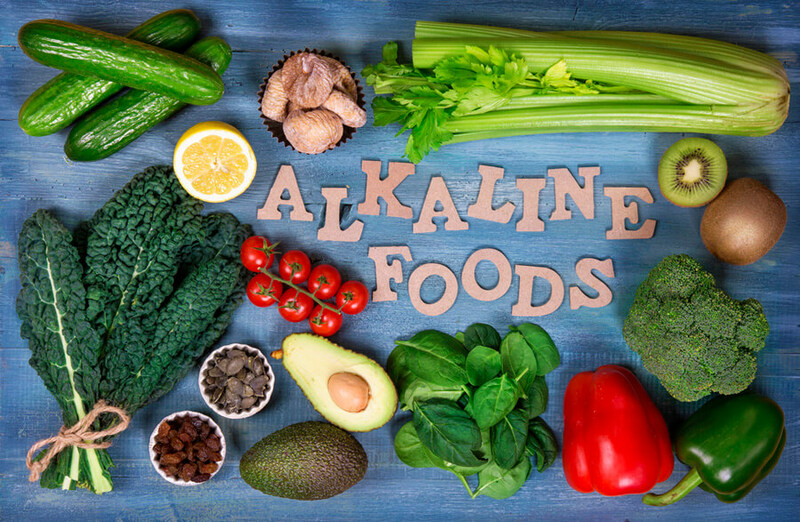 If alkaline foods can tip the balance towards a more alkaline serum pH, then 5-alpha-reductase will operate at a reduced capacity. 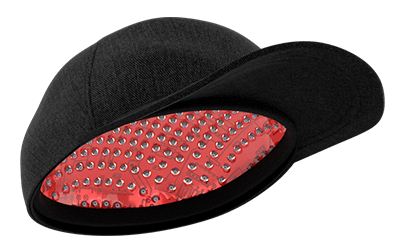 This may mean that less DHT will be produced which is beneficial to men and women with pattern baldness. The standard Western diet consists of red meat, refined grains and sugar, dairy, and alcohol. These are all foods with a net acidic balance and, as such, they may contribute to 5-alpha-reductase’s optimal functionality. So how can I get more alkaline foods in my diet? Alkaline foods include vegetables (especially cruciferous vegetables), fresh fruits, herbs, and many spices. Sprouted seeds and legumes are also alkaline. And while you can certainly add these food groups to your everyday meals and recipes, there is an easier way: vegetable juicing. Juicing vegetables is the quickest way to get your body into an alkaline state. Juicing gets rid of the fiber (fiber is good, but it can also impact nutrient absorption) which makes it less filling and, therefore, easier to consume more than you would normally be able to (4). Fruit and vegetable smoothies and bullets are the other way to get more alkaline foods into your diet quickly. You can throw your favorite fruits and vegetables (and even seeds if you want to) into the smoothie maker and have a delicious and nutritious drink that will help alkalize your body. Of course, it’s important to have normal meals that are more alkaline and less acidic, but juicing and smoothies are an extra quick way to get there. One of the big things that can cause hair loss and slow hair growth is toxic accumulation. Because toxins inside the body can cause hair to fall out, the overall effect is that hair appears to grow much slower, because the older (longer) hairs fall out more quickly. One of the ways that toxins can build up inside the body is through a colon that is unclean. If the colon is unclean, you’ll also have problems getting the nutrition from your food into your body where it can be used to grow hair. For these reasons, keeping your colon clean is absolutely essential for fast hair growth and the best way to keep the colon clean is eating food with plenty of fibre in it. Fibrous foods literally act like a brush, sweeping out the colon with each team time keeping it clean and unblocked. Foods that lack fibre, typically processed and stodgy foods do the opposite. They move slowly through the digestive tract, sticking and coating everything, leaving a trail of impacted mucus. This is why refined carbs, plus dairy, plus meat, such as a pizza can leave you feeling so stodgy and fatigued after eating it. Your body finds it hard to digest it and the unnatural combination is sticky and gooey. The perfect combination for blocking the colon. The foods we’ve been eating for 99.9% of human evolution are naturally high in fibre, but our modern foods get processed and much of the fibre (and natural digestive enzymes) get stripped out in the process. Without the fibre the foods cling to the colon walls, stopping waste products being excreted and stopping nutrition from our food being absorbed. Both of these can be really bad for hair growth. So which foods are naturally high in fibre? Almost all natural plant based foods are naturally high in fibre. Beans, nuts, seeds, fruits and dry fruits and vegetables, as well as whole grains and oats all contain the fibre your body needs to keep the colon clean, keep toxins out and get the most nutrition out of your food. Fibrous foods aren’t the only ones that you should be adding to your diet. There are many foods that contribute to a healthy gut and, therefore, a healthy body. But the best food for the gut is by and far probiotics. In short, probiotics are live microorganisms (5). They’re often referred to as your body’s ‘good’ bacteria as they help to support the digestive system. But what does the gut – or more specifically, the microbiome of the gut – have to do with hair growth? The reasons why the ‘microbiome’ as scientists call it (the collection of bacteria in our body) is so important for healthy hair growth isn’t quite clear. Though, there is some connecting evidence and, as the researchers put it, probiotics may help “induc[e] beneficial integumentary effects that manifest as luxuriant hair” (6, 7). Whether probiotics are good for hair growth or not, there is one thing that we know for certain: most of us can benefit from a more healthy bacterial balance. If you’ve ever taken antibiotics you may have hurt your bacteria. If you were born via cesarean, or even consumed non-organic animal products as they can contain the antibiotics that farmers give their livestock (8). The other problem is that a lot of foods contain preservatives. And you may know that the point of a preservative is to kill bacteria. 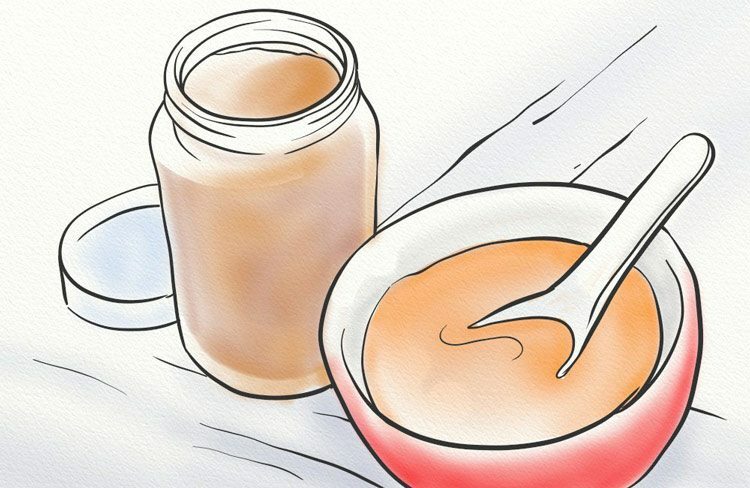 This is great if you want to preserve the shelf life of your processed foods, but the preservatives will kill off the good bacteria in your stomach (9). Then there is also the problem of yeasty, acidic, and fiber-less foods. All of these unnatural foods sitting in your digestive tract give the bad bacteria a boost whilst hurting the good bacteria. So, what is the solution? The best solution is to add healthy probiotic foods to your diet. Probiotic foods contain naturally-occurring healthy bacteria which can thrive in your digestive tract and help get rid of bad bacteria. All of these foods contain naturally high amounts of probiotics so try to get two portions of any of these into your diet on a daily basis. Probiotic supplements are also highly recommended. Your hair needs nutrients and minerals to grow. These are the building blocks from which the hair follicle itself is made. If there aren’t enough of these building blocks then hair growth is stunted, and of course the building blocks come from the food you eat. Micronutrients are described as the trace minerals, vitamins, amino acids, and phytochemicals that typically come from fruits, vegetables, nuts, seeds, herbs, and spices (10). Macronutrients on the other hand are the larger nutrients that we do need, but are found in abundance in our modern diet. These are the protein and carbohydrate. Our body needs them for energy and muscle growth, but we usually have enough of them in our diet and the abundance of them means we don’t need more for our hair. But by eating these macronutrients we essentially push out the foods that contain high amounts of micronutrients meaning we could actually be completely undernourished. When it comes to our hair, it’s important to opt for more micronutrients than macronutrients. Further down on this page you’ll learn about the foods that contain the highest amounts of micro-nutrients. 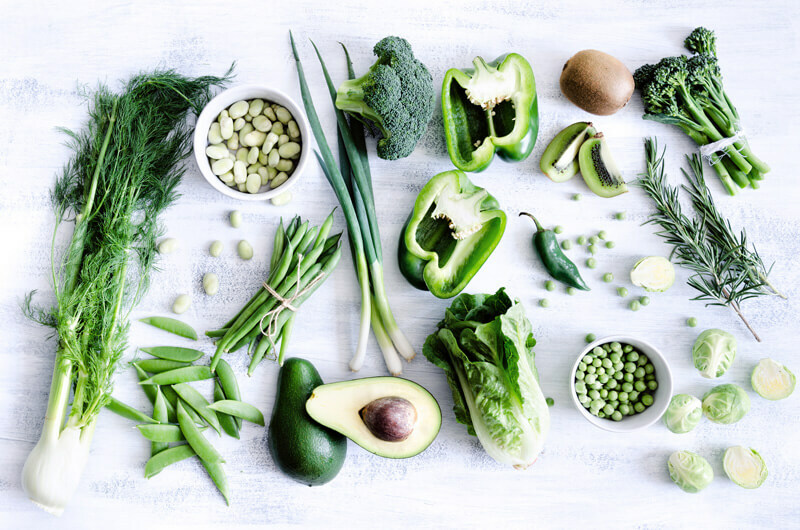 Having gone through the previous 4 guidelines, something becomes apparent – there is a definite emphasis on plant-based foods. This is because a plant-based diet is more alkaline, more fibrous, more probiotic, and more micronutrient based. The best foods for hair growth are foods from plants that our body can quickly digest and turn into keratin. When shopping, the more of your shopping basket you can make out of fruits, vegetables, legumes, nuts, and seeds, the better. So, what food groups should you consume if you’re interested in a healthy scalp and, hopefully, hair growth? Raw nuts and seeds are amazing sources of nutrition (11). They contain proteins, essential fatty acids, omega oils, and trace minerals. 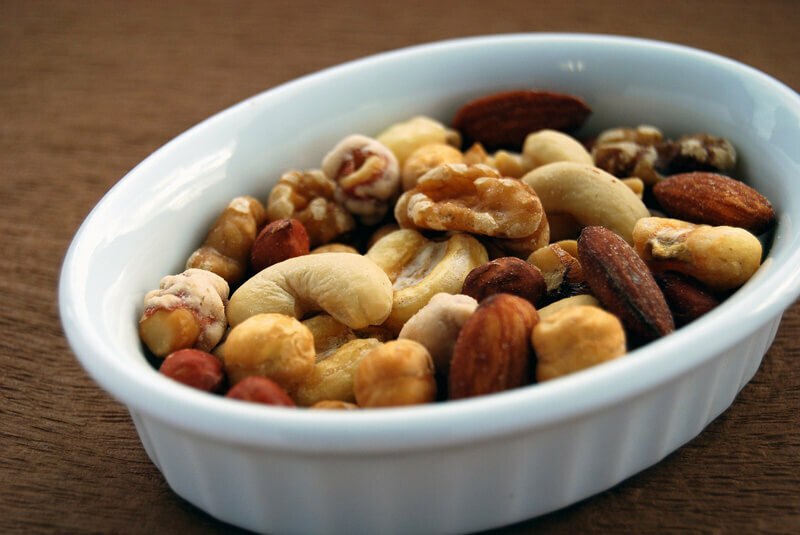 When soaked before eating, the life form in the nuts and seeds become activated. Without the pre-soaking there are small amounts of anti-nutrients phytic acid (12). These chemicals allow the nuts and seeds to survive longer without being eaten by bacteria, while they lie dormant in the ground. But when you soak the seed or nut it removes the toxins that stop it being digestible and bring it to life, providing you with the ultimate source of nutrition. Cruciferous vegetables are your best sources of nutrients, trace minerals, and vitamins like folate (13). All of which go on to help with healthy hair growth. One of the main ways these vegetables help reduce hair fall is through their anti-inflammatory effects (14). 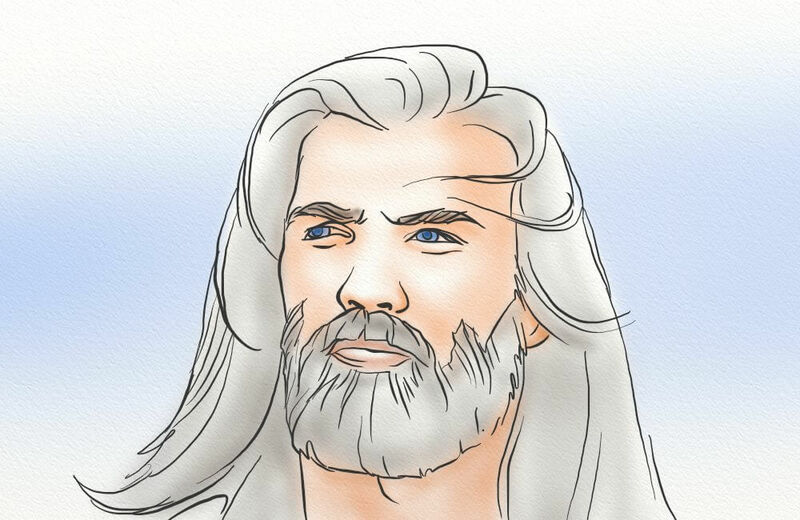 By reducing inflammation in the scalp hairs seem to last longer and stay healthy for longer. The compounds in cruciferous vegetables have also been proven to protect cells from DNA damage which reduces age related hair loss (15). Legumes, consisting of beans, peas, and lentils are nature’s ultimate protein sources, perfect for natural, bioavailable sources of hair building keratin (16). If your hair feels thin and lifeless, or if it falls out easily and grows slowly, then upping the amount of plant-based protein from these 3 sources will definitely help. Soaking, sprouting, and boiling must be used with most legumes since many contain anti-nutrients and some toxic substances when raw. 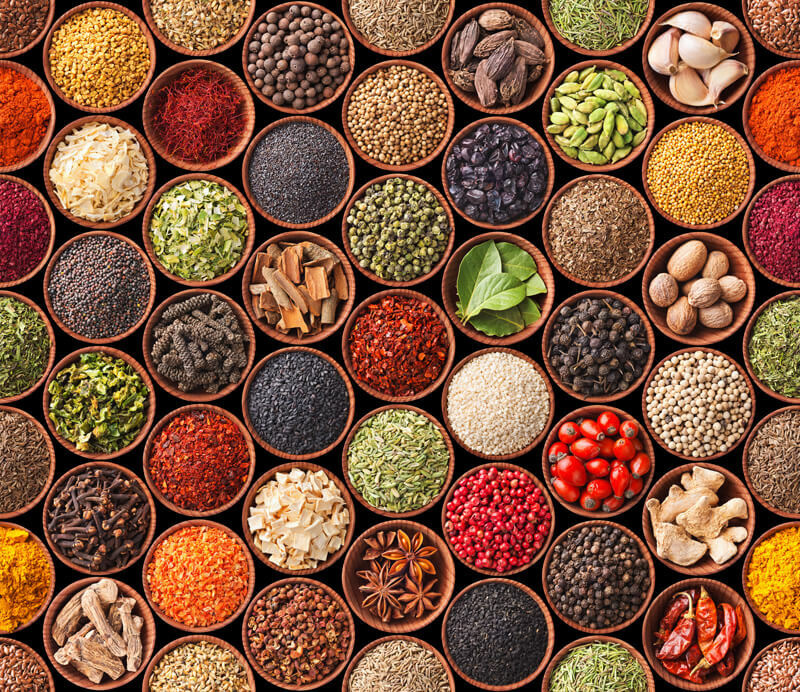 Herbs and spices contain some of the most concentrated forms of antioxidants of any foods (17). These antioxidants reduce free radicals; free radicals that cause cellular and genetic damage and increase aging (18). Therefore antioxidants may increase hair growth by reducing the free radicals that cause age related hair loss. The best spice for your hair is turmeric, and there are plenty of others such as ginger, basil, cloves, pepper, vanilla, cinnamon, cayenne pepper, and many more. It’s best to consume as much of your required nutrients and minerals through your regular diet. However, this isn’t always easy, and that’s where food supplements come in. Pea and hemp protein are great natural, plant-based sources of protein (as opposed to whey protein which is made from dairy) that are extremely high in omega acids and fiber. Hair needs keratin, which is a protein, to grow and both hemp and pea are great sources of protein. I usually add these to my morning smoothie. Spirulina and chlorella are two amazing food sources that are packed full of alkalizing micronutrients, and also very importantly, loaded with chlorophyll. Chlorophyll is an interesting compound because it is almost identical to hemoglobin in composition. The only difference being that chlorophyll has a molecule of magnesium, whereas haemoglobin has a molecule of iron. This is why low ferritin levels can sometimes lead to hair loss, because oxygen supply to the root of the hair follicle is diminished through lack of hemoglobin. Hemoglobin is the part of blood that is responsible for carrying oxygen, and a lack of hemoglobin in the blood causes severe decrease in oxygen blood content. 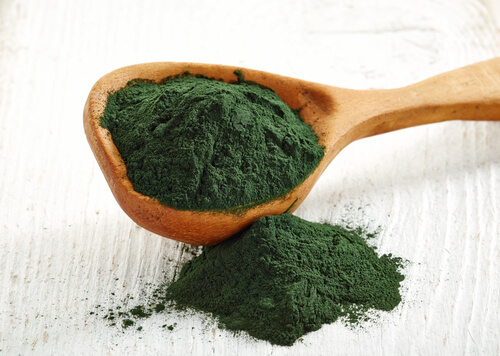 Spirulina and chlorella also contain their own self-digesting enzymes so they deliver vital nutrients and minerals to the body and the hair without taxing the digestive system. I highly recommend adding these and other greens supplements like wheatgrass powder to your morning smoothie or taking them every day as a supplement. A diet change alone will not stop your hair loss, or even promote hair growth. However, it’s a step in the right direction. Do you need to add in all of the foods mentioned above? Not right away, but it never hurts to diversify your diet and you can easily do so with the lists I’ve provided. And remember: hair growth is about so much more than just your diet. There is very likely an underlying issue – one not directly linked to food intake – that is driving your hair loss. It’s important to find and target this issue now before the problem becomes irreversible. Do you have questions about the foods on this list? Leave a comment below. You make a great job, congrats! I thought nuts and animal proteins are ACIDIC?? They are, but as long as you’re getting enough alkalising foods you also need these food sources in your diet. Hi Will, when you crave something sweet, what would be a low-fat, low sugar snack/dessert? How about dates, raisins or even fresh fruit. There are also some good healthy snack bars out there that are made from plants. Personally I skip dessert right after a main meal. The reason is, this doesn’t follow the rules of food combining. It’s harder to digest the main meal if you put something sweet on top of it. Don’t mix your food groups and your meals will digest much more quickly and easily providing more nutrition from the same meal. Hi, Will, ques: you mentioned dairy is very acidic but what if it’s organic? Would that change acidity in dairy products? What about yogurt? I think it would be better if it’s organic – how about raw dairy (unpasteurised and unhomogenized) if you can get hold of that then this is much better for you than the stuff you buy in the supermarket. The problem is, the pasteurisation destroys the enzyme that helps our body digest it. You mentionned in a previous article that diary cause hairloss. Isn’t yogurt a diary? You’re right that dairy can cause hair loss, if you have a sensitivity to its proteins. However, yogurt is beneficial due to its probiotic content, and it’s also lactose free.